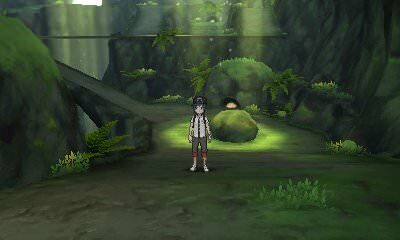 Walkthrough: After defeating your first Island Trial, you can return to Verdant Cavern to capture the Wild Pokemon found within, as well as obtain any items you may have missed during your Trial. As you do, you will again run into the Ultra Recon Squad. This time around, they will mention how they are curious about learning more about the aura coming from your Z-Crystal and the Totem Pokemon themselves. They will leave stating they will be further investigating the Z-Crystals.